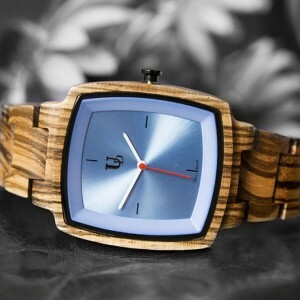 ✅ Eco-friendly, We produce our wooden watches with only RECLAIMED WOOD. 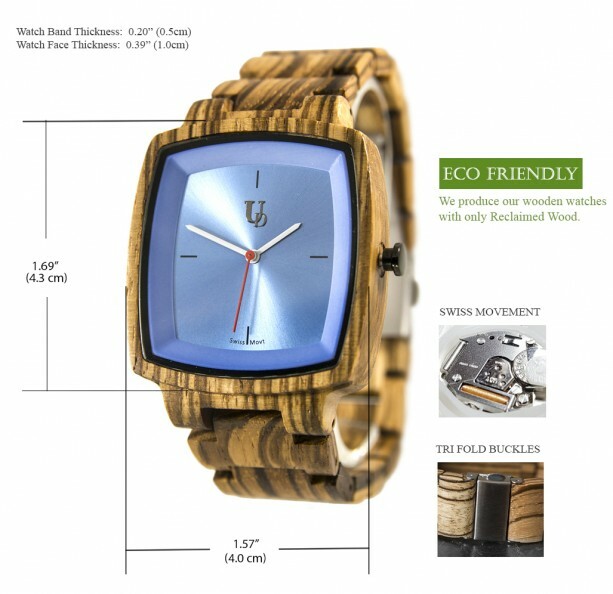 100% natural red sandal wood,Handmade by Artisan Craftsman. No paint or no chemicals (Non-toxic Hypo-allergenic), perfect for any occasions. 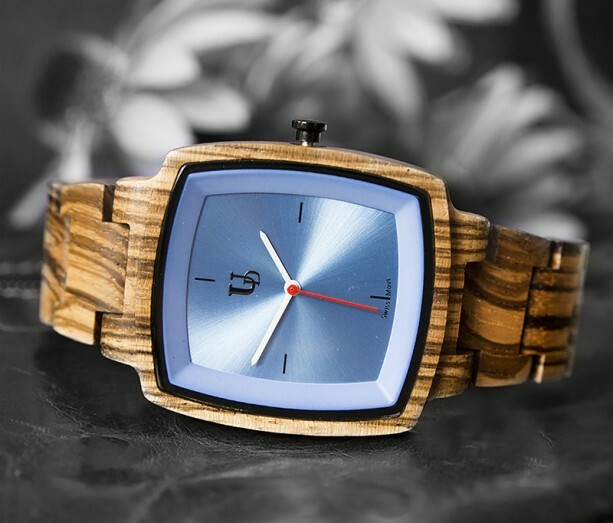 ✅ Precision Swiss Movement, energy saving, & ultra-quiet. 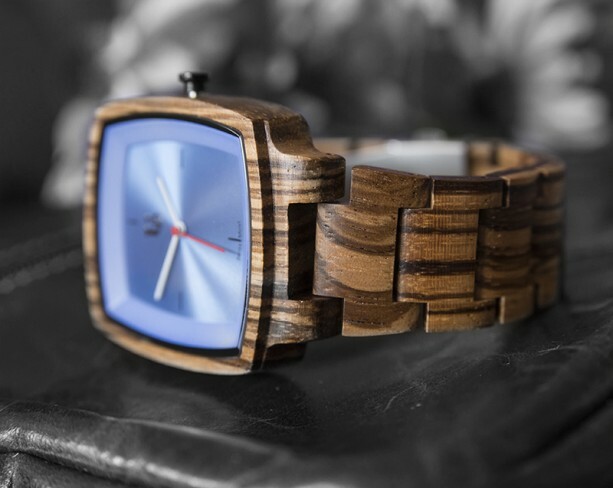 ✅ Limited Edition-Each timepiece is unique since no 2 pieces of wood are exactly the same. ✅ Water Resistant ( Please do not wear when showering & swimming). 100% Money Back Guaranteed! 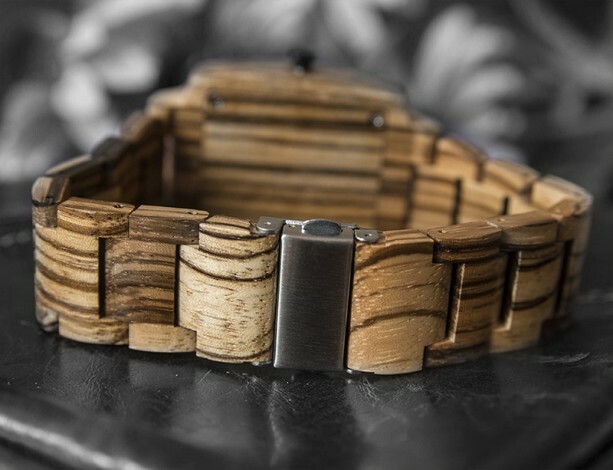 ✅ Perfect Anniversary gift for men, best man gift, fathers day gift, Groomsmen gift sets, graduation gifts, birthday gifts for him 100% Real Natural Zebra (RECLAIMED) WOOD Wrist Watch. 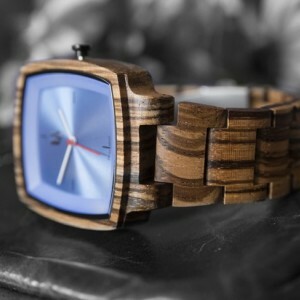 Each Unique Watch is Handcrafted by a Professional Watchmaker. 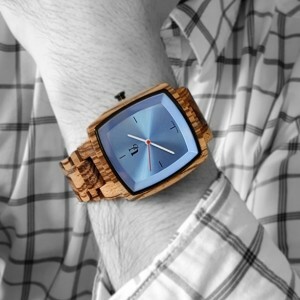 You'll be amazed when you hold a wood watch in your hand or wear it on your wrist since it is really comfortable. High Quality, Luxury Fashion and Stylish with Swiss Movement. The Wood color makes it Simple and Easy to Match with all your Outfits. 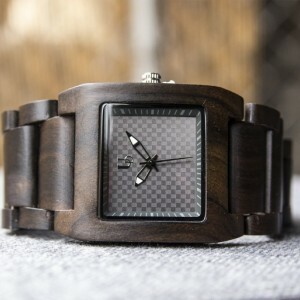 Great for Casual or Business events. 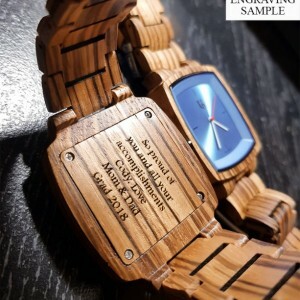 It comes with Nice Watch Box. 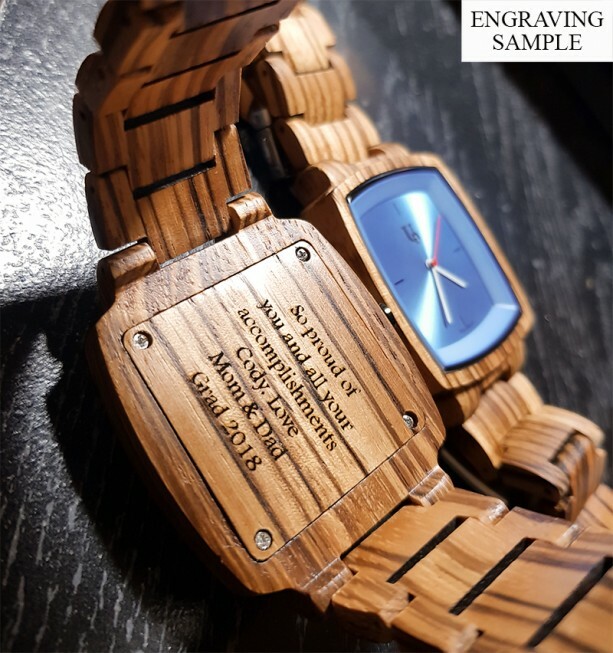 Product Dimensions: Case Size: 1.69" (4.3 cm) x 1.57" (4 cm) Case Thickness: 0.43" (1.1cm) Band Width: 0.82" (2.1cm) Band Length: 5.5" (14cm) with Adjustable Links (Fits up to 7.5" wrist) Clasp: Stainless Steel Clasp * Unique gift ideas for groomsmen , boyfriend, husband, Father, men. 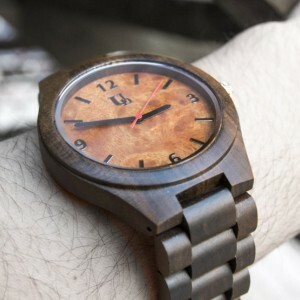 ◆◆ ATTENTION ◆◆ >> Please remember that since every watch is handmade by wood, no one will be the same, so you have to expect some little variation in the color and grain of the wood. 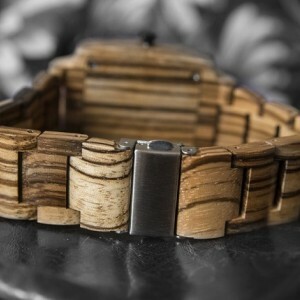 >> You can adjust or re-size your watch by removing extra links. We always recommend having this professionally done (any jeweler or watch store), but if you do this yourself, please have the correct tools for the job, and be careful.